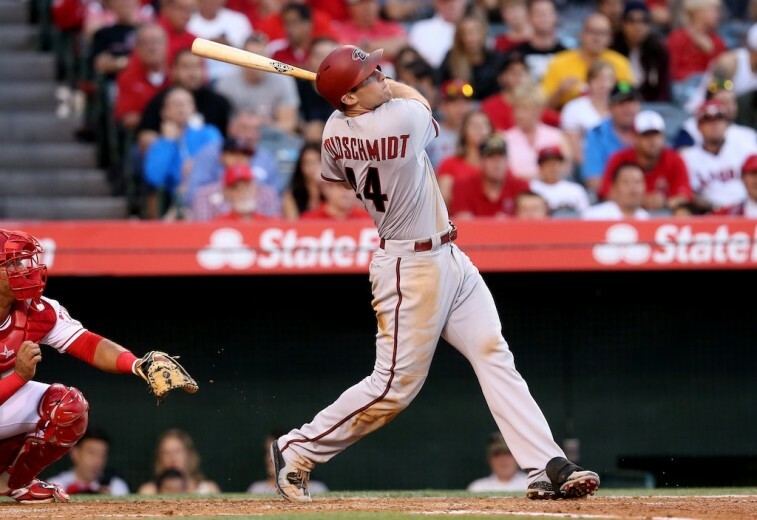 MLB: Will Paul Goldschmidt End the NL Triple Crown Drought? While a Major League Baseball season may be a 162-game grueling affair capable of ironing out any success during the many single-season cycles, it’s still important to acknowledge when someone is playing the game at a remarkably high level. 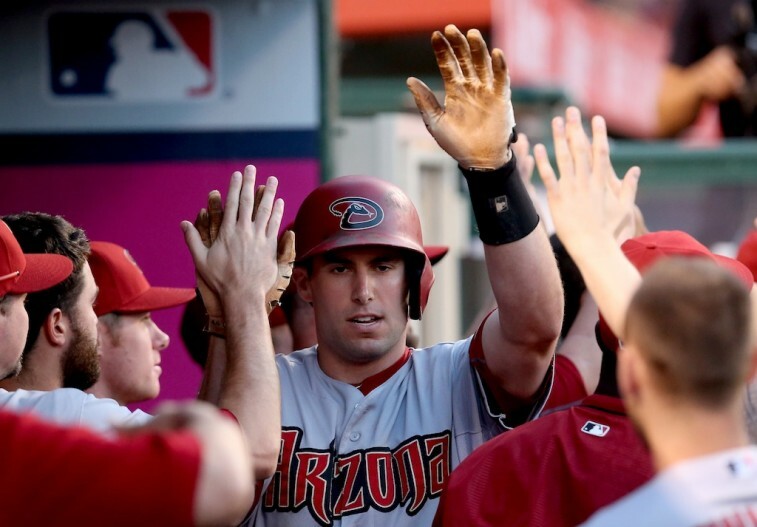 Right now, we have to give props to Arizona Diamondbacks first baseman Paul Goldschmidt. This 27-year-old — and former eighth round pick in 2009 — is well on his way toward establishing himself as the best hitter in the National League. That respect has also translated to league-wide recognition. As of right now, Goldschmidt is the leading NL All-Star vote getter at the first base position, with a total of 2,010,049 votes. If he were to be selected for this year’s squad, he could add that accolade to an already impressive haul that includes a Silver Slugger, a Gold Glove, and two previous trips to the All-Star Game. Of course, that’s not all. If Goldschmidt continues at his current pace, there is a strong possibility that he could become the first Triple Crown winner the National League has seen since 1937. Through June 15, Goldschmidt is near the top of the pack in each of the three vital Triple Crown categories. His .366 batting average is tops in the league. He’s tied for third in home runs with 18. And he’s second in the NL in RBIs with 53. It’s clear that he’ll need to make up some ground in the latter two groups, but Goldschmidt certainly has the ability to do so. After all, it wasn’t too long ago — back in 2013 — that he led the National League in homers and ribbies, with 36 and 125 respectively. The reason for his success at the plate is simple: Strike-zone discipline. Goldschmidt also has an incredible work ethic and is consistently trying to improve his craft. In doing so, the D-Backs first baseman currently finds himself leading the National League in wins above replacement (4.8), on-base percentage (.484), runs scored (49), total bases (154), and runs created (77). Not bad for a guy who had 245 players selected before him. The last National League player to hit for the Triple Crown was Joe Medwick. In 1937, the St. Louis Cardinal hit .374 with 31 home runs and 154 RBIs. The good news is that Goldschmidt doesn’t need to get those figures to become part of this exclusive group. The bad news is that there’s no telling if his final numbers will be good enough to win the Triple Crown. However, that doesn’t mean this Diamondback isn’t still chasing history. Goldschmidt is currently on pace for the following: 44 home runs, 131 RBIs, 125 runs, 26 steals, 209 hits, 133 walks, .359 batting average, .478 on-base percentage, and .659 slugging percentage. The 2015 Major League Baseball season is far from over. Yet, the Diamondbacks superstar is making a strong case to be included among the game’s best. It’s too early to suggest he’s going to become a member of the Triple Crown club. It’s also way too soon to lump him with all-time greats like Ruth and Gehrig. Still, it is exciting to think about all the possibilities. Paul Goldschmidt, we will most certainly keep our eyes on you. All statistics are courtesy of Baseball-Reference.com, MLB.com, and ESPN.go.com.